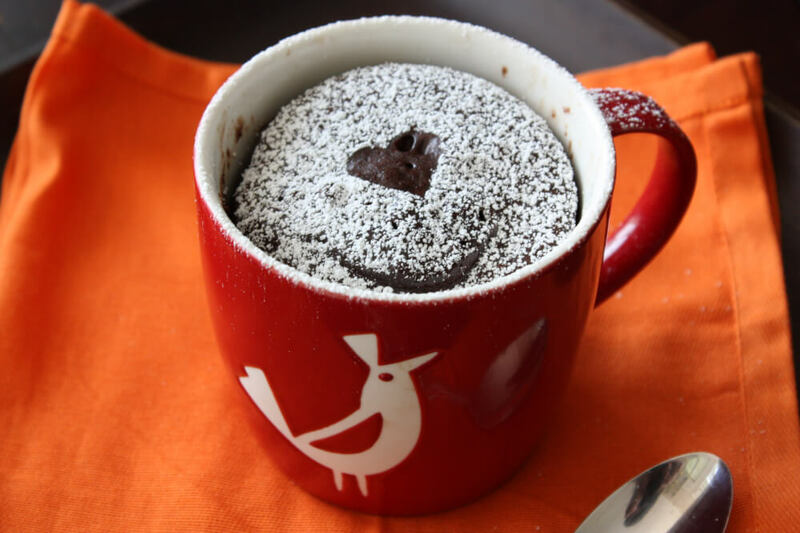 A microwave chocolate cake in a mug is just the thing if you want to enjoy something rich and chocolatey in just 5 minutes! For this recipe you will need ingredients you are likely to already have, such as flour, sugar, an egg, milk and so on. This dish is popular with everyone from students craving a naughty midnight snack to hungry parents pushed for time, or just anyone who wants something sweet but doesn't necessarily want to spend an hour preparing such an indulgence. 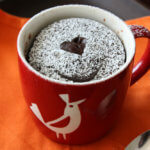 If you don't have any cocoa powder, you can use hot chocolate powder in this microwave chocolate cake in a mug recipe. Also, switch the vanilla extract for almond extract if you want, or even for some cinnamon. The chocolate chips can be dark, milk or white; whatever you like. This is certainly a recipe you should bookmark. It's not the only mug cake recipe but for sure it's one of the best. Enjoy this with a cup of tea or coffee, for the ultimate indulgent snack. 1. Stir the sugar, milk, oil, flour, cocoa powder, egg and vanilla together in a big mug. 2. Now fold in the chocolate chips. 3. Microwave for 2 minutes at 1000+ watts, 3 minutes at 750-1000 watts or 4 minutes at 650-700 watts. 4. Let it sit for a full minute, the tip on to a plate. 5. This cake is great with cream and fresh strawberries if you want to jazz it up. 6. Else just eat it from the mug!